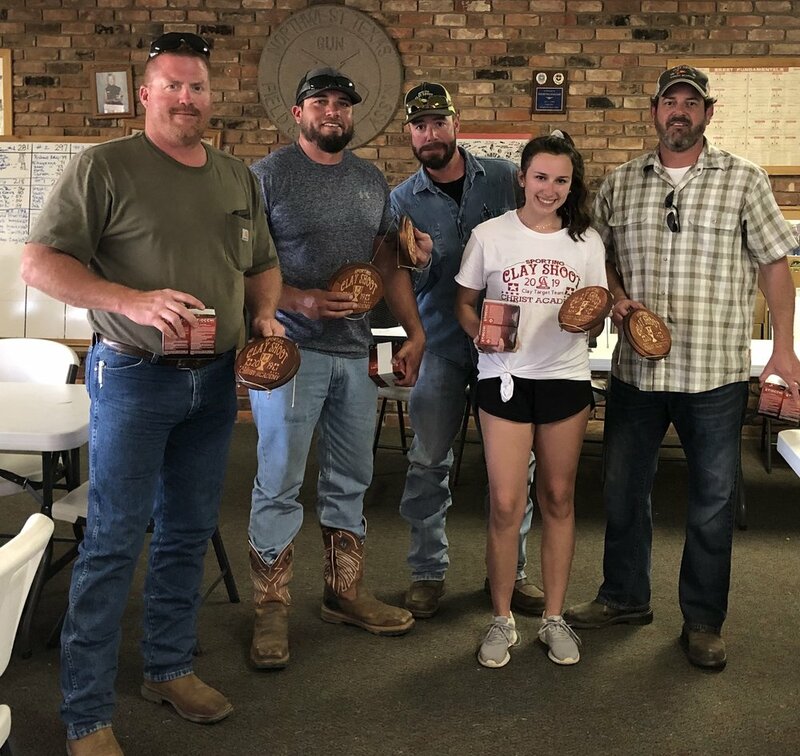 Thank you to the sponsors and participants of the 2019 Sporting Clay Shoot. Our sponsors were Wichita Falls Gastroenterology Associates, Southard Properties, Clark Design Studio, Lone Star Plumbing, Cleveland Electric, Glass and All, On-Site Solutions, Lindsey Kirpal, TS Varner, Reneau Rehab, Richard & Sharon Watkins, Capital Farm Credit, KERR Feed & Grain, John & Mary Ferguson and Janie A Barry CPA. See all the winners followed by a gallery of the shoot. Prizes were donated by the Pira Family, Marksmen, Action Battery, Wichita Industrial Supply, Raising Cain’s, Advanced Electrical & Controls and Clark Design Studio.